In a Linux multi-boot system it often happens that one distro shows correct system time and another does not. The problem is in how the startup scripts interpret the hardware (BIOS) clock when setting the OS time (the so called System Clock). If you want to learn more about this (and fix this problem PROPERLY!) 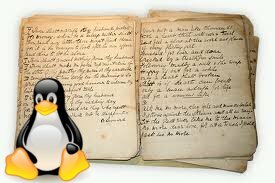 – here’s an excellent article on the subject: http://www.linuxsa.org.au/tips/time.html. 1. Make sure /etc/localtime is a symlink to your correct TZ file (which will be found somewhere in /usr/share/zoneinfo/…). 3. Depending on whether you intend to keep your hw (BIOS) clock in UTC or locatime add UTC=true or UTC=false to that file. Let’s assume that the time shown above (as your local time) is actually the time kept as UTC, and that your correct local time would be +3hrs = 03:26:34 PM or 15:26:34. At this stage you need to press the RESET button on your computer.